I am an Educator and Scholar of Information. 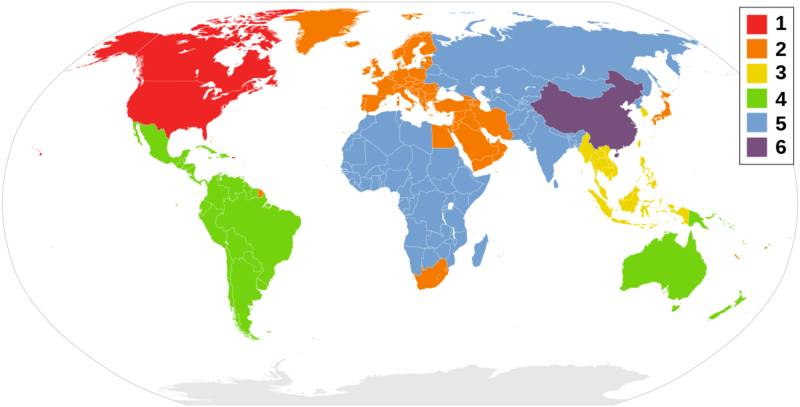 The Action Bible: "David & Goliath"
“DVD-Regions with key-2” by Monaneko (Previous Version Maker:MrWeeble, David Levy, Zntrip, David Levy) – Image:DVD-Regions with key.png,2006-07-08 17:30(UTC).. Licensed under CC BY-SA 3.0 via Wikimedia Commons. All rights reserved. This is another one of my “masterpieces.” Although there is a link to an article between the differences of NTSC and PAL. NTSC United States of America Alaska, American Samoa, Antigua, Antilles (Dutch), Aruba, Bahamas, Barbados, Barbuda, Belize, Bermuda, Bolivia, British Virgin Islands, Burma, Canada, Chile, Columbia, Costa Rica, Cuba, Curacao, Diego Garcia, Dominica, Dominican Republic, Ecuador, El Salvador, Fiji, Grenada, Guam, Guatemala, Guyana, Haiti, Hawaii, Honduras, Jamaica, Japan, Johnston Islands, Korea South, Leeward Islands, Mariana Islands, Marshall Islands, Mexico, Micronesia, Midway Islands, Montserrat, Myanmar, Nicaragua, Okinawa, Palau, Panama, Peru, Philippines, Puerto Rico, Samoa, St Kitts and Nevis, St Lucia, St Vincent, Surinam, Taiwan, Trinidad and Tobago, Venezuela, Vietnam, and Virgin Islands. Space Rangers was produced in 1993, and lasted six episodes. A series that follows space rangers across the known space frontier. I enjoyed the TV show, but I guess not a lot of other views were. A few years ago Netflix had this show streaming, but no DVD could be rented or purchased, even on Amazon. That is not entirely true. Space Rangers could be purchased, but only in in region two (Europe, Japan, the Middle East, Egypt, South Africa, Greenland). As one can see this is from Amazon. On the left side, this was the original product at region 2 then in September of 2013 the six episode series was released for region 1. Director Will Vinton brings together one of the first and only stop motion, claymation, full length movies. This is a childhood memory, that the title was lost to me up til two or three years ago. I could not remember the title, not one bit. I even forgot that the old guy with the white hair is Mark Twain. Until, I saw “The 6 Creepiest Videos Aimed at Children” by Michael Swaim even-though The Adventures of Mark Twain was more of a family movie versus straight for kids movie. As the images shows above with one of the listings for “The Adventures of Mark Twain” that this was an import, and could be used for all regions. Blue-ray DVDs can only be played on Blu-ray players. Regular DVDs can be played on both Blu-ray and DVD players. The important part of this title are the regions that this DVD covers, which is all three. This had to be checked because United Kingdom is in Region B, but not Region A. In this post, one movie, one TV show, and one director were referenced with the help of IMDB. This might be a little boring to some…..
One is a Wikimedia Commons image. Two images were captured from Amazon, and then manipulated by myself. The fourth image is one of my creations, and I reserve the rights to my intellectual property. The next post will cover DVD counting and storage.